Over the course of the Winter period, the area on my face which seemed to suffer the most, were my lips. Dry, chapped, sore and overall, not that great to look at if I’m honest! As we live in a society where lips seem to be the main focus point within the beauty/skincare world, I knew that I had to fix this, sharp. Luckily, I had been gifted a few lip products which all aim to nourish, hydrate and restore your lips! Within this ‘Lip-Guide’ are 6 lip products which range from your high street brands, to your luxury premium brands. I wanted to give you a variety so that when it comes to looking after your lips, it’s the right one for you. Please note, I trialled out each lip product 3-4 weeks at a time to get a full and fair use of each one starting from early October 2018 to current date - March 2019. This Lip Butter Stick features Mandarin Oil which offers deep nourishment which aims to provide long-lasting care for your lips. Similar to the Lab Series in the sense that they both were the easiest to use with their applications, I found that the Lip Butter Stick did indeed leave my lips feeling hydrated, however, there was a slight white mark that was left behind with each application that almost highlighted the cracked/chapped effect on my lips… That being said, my lips did feel hydrated afterwards! 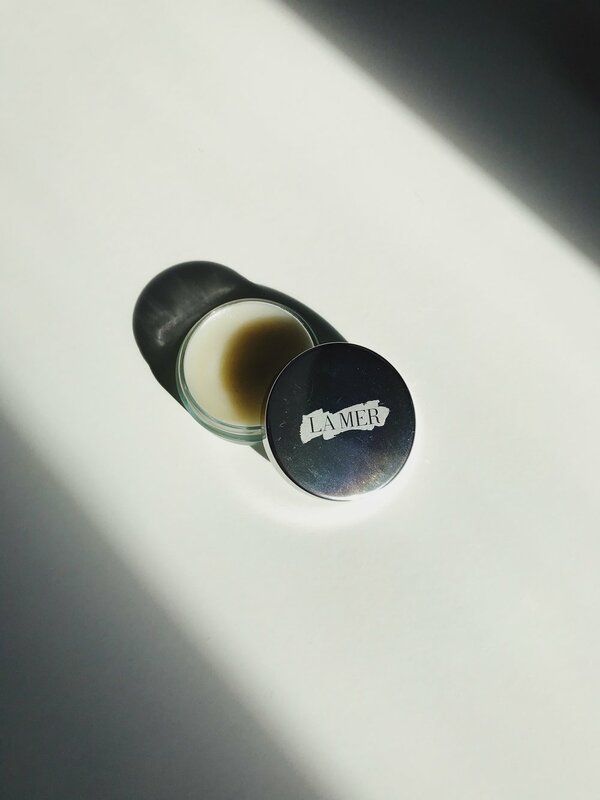 Formulated for all skin types, this Lip Tech from LAB Series features Beeswax which helps to protect, Shea Butter which helps to soften, and Menthol to revive and invigorate! The taste of this particular lip balm was the most enjoyable I found, rather minty! The application was also the easiest to use as it comes in a simple tube that massages into the lips easily. The texture felt light and had next to no shine. 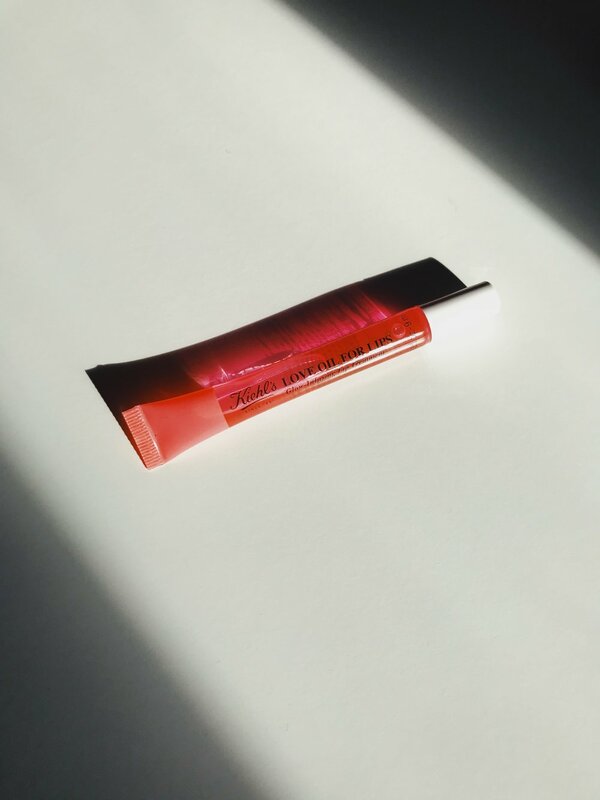 Glossier’s infamous Balm Dotcom is not only a lip balm, but can also be used on your skin such as your cuticles, elbows and any other dry patches you may have! A multi-purpose product that can cover more than one area but for me personally, this worked best on my lips. The texture is a little heavy but quickly penetrates into my lips which leaves them feeling soft without appearing too shiny! The Balm Dotcom also comes in different flavours such as; Rose, Cherry, Mint, Coconut and Birthday. Blended with antioxidant Vitamin E and beeswax, this Lip Saver from Molton Brown does exactly what it says. Perfect for when your lips are feeling cracked and chapped, the glide applicator glides perfectly across your lips without it sticking. I also liked that my lips appeared healthy rather than that ‘glossy’, in your face effect! Now, don’t be put off by the neon packaging, but I wanted to include this recent release by Kiehl’s, mainly because I’m a huge fan of the brand, but also because this Love Oil For Lips is the product that gives the ‘glossiest’ shine to it. This particular lip product I received came in the ‘Neon Pink’ shade which surprisingly, didn’t come off as too bold! The colour stayed relatively clear on my lips, it was just more of the shine that was noticeable. On a day to day basis, this is a little too much for me, however, for a night out, it adds that extra glow to my lips which not only helps them to look healthier, but also keeps my lips feeling hydrated too! Love Oil For Lips comes in several colours such as; Untinted (perhaps one to try if you’re after a more subtle look! ), Neon Pink, Botanical Blush, Apothecary Cherry, Midnight Orchid. The most expensive one featured here, but with good reason. Featuring their key ingredient: Miracle Broth and is formulated without Parabens, Phthalates and Sulfates. I liked how this Lip Balm had a minty taste to it that was rather subtle with a warm, vanilla scent. The Lip Balm absorbed easily into my lips and the results were noticeable after 2 or 3 uses! My lips felt nourished and hydrated and felt soft again. I hope you enjoyed my round-up of Lip Balms/products and that this has given you some ideas in terms of which to go for when it comes to looking after your lips! I’d love to hear if you have tried any of these out for yourself and what worked/didn’t work for you! Drop me a comment below and don’t forget to click the ‘like’ button. Any questions? Feel free to ask! For the past couple of weeks I have been trialling out two new products by LAB Series, both of which are part of the 'All-In-One Pro LS Facial Gels'! As a fan of Lab Series, and having trialled and tested various products by the brand before such as the Matte Renewal Lotion, the All-In-One Shower Gel and their Urban Blue Detox Clay Mask, I was rather excited and curious to see what these two products would be like. Before application of the Cleansing Gel, I washed my face and left it a little damp to allow the Cleansing Gel to work to its full advantage. The Cleansing Gel quickly began to foam, and as I began to clean off the Gel, my skin immediately felt smoother to touch! It also got rid of a few dark blemishes, and really cleansed my pores without feeling too harsh on my skin. I also noticed that my facial hair felt softer too, and more conditioned which was a huge bonus for me! You can purchase the All-In-One Face Cleansing Gel here! Out of the two, I will be honest and say that unfortunately, this didn't sit well upon my skin. I don't know if it was my skin type, or what the reason was for why it didn't work out, but I found that the texture was slightly thick and didn't feel as though it was absorbing into my skins pores.. Nevertheless, these things happen and not all products work for everybody! However, The Hydrating Gel did create a mattified look to my face! You can purchase the All-In-One Face Hydrating Gel here! Have you tried either of these All-In-One Face Gels? Did you find you had any problems with the Hydrating Gel like I did? Have you tried any products by LAB Series before? If so, which ones have you tried? Do let me know your thoughts, as I would love to hear from you, and don't forget to click that 'like' button down below! 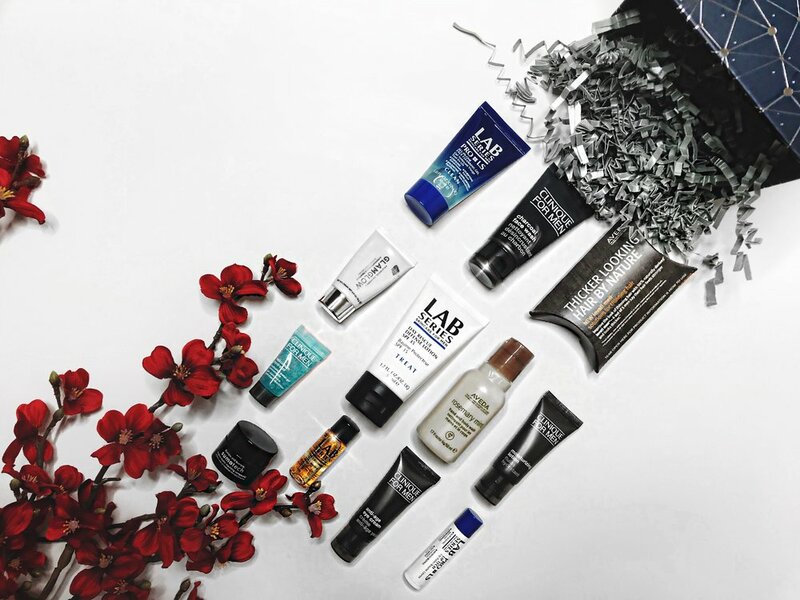 My Gift Guide consists of all of the items that I personally have used, what I love, and are what I feel, would make great presents for that special man in your life! *Please note*: Some of these products can be classed as unisex! Also, make sure you keep your eyes peeled for my upcoming 'For Her' Gift Guide this Sunday! Each of the three fragrances that I have chosen all have that smokey, musky undertone to them and I find that with each fragrance, they are all equally as powerful as they are captivating. I chose Gentlemen's Tonic as their products all make my hair feel soft, well nourished, and their luxurious scent of 'Babassu and Bergamot', always leaves my hair smelling divine! There's nothing more cosy, than lighting up a gorgeous scented candle at Christmas time, and I must have more candles than I care to count! However, these three candles stand out by a clear mile to me, due to their stunning design, their longevity, and most importantly, their scents! 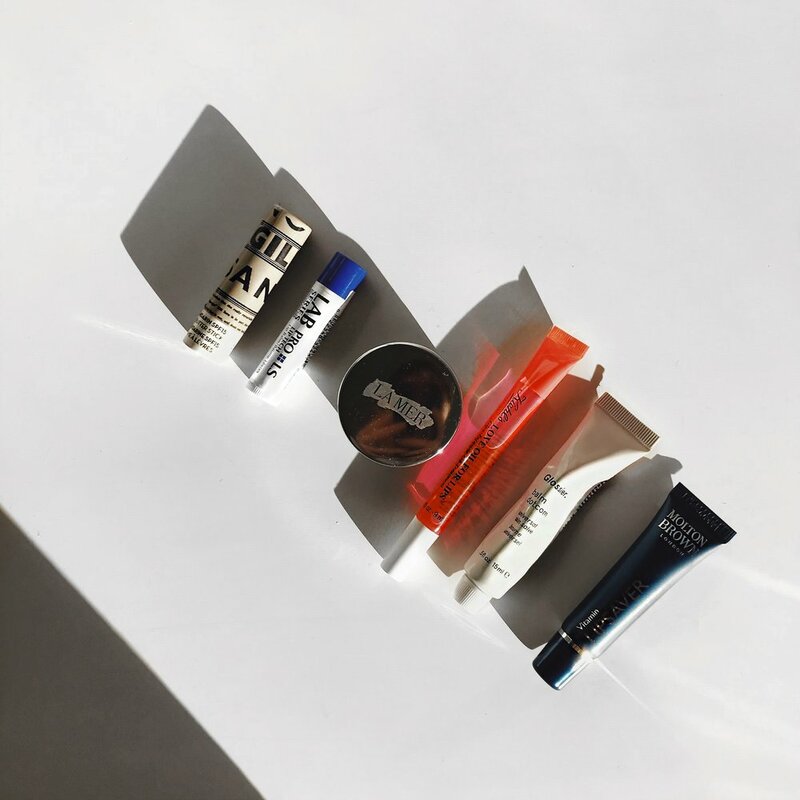 I am lucky enough to try out a lot of skincare samples and products, and although I wish I could feature a lot more in, these are just a handful of skincare products that I keep going back to! Have you tried any of these products before? Will you be considering any of these as a gift? Which is your favourite? Any products on here that you've seen that I haven't reviewed yet, but want to know more about it? Do let me know! I reply to every comment, and always appreciate it when you reach out to me, and don't forget to click that 'like' button down below! Bear with me on this one.. I made a Facebook status asking my friends and followers if they had any solutions to having a 'shiny face' from fake tanning, and lo and behold.. I received the 'Matte Renewal Lotion' from LAB Series! If there was ever a sign or a coincidence, then this was definitely one. I wouldn't necessarily say that I have oily skin, or that my skin appears greasy, however usually after applying fake tan or any tinted moisturiser, it tends to look extremely shiny which proves slightly embarrassing for any photos I may have been snapped in! Launched in stores from September 2016, this is a relatively new product and one I thoroughly recommend trying out! The Matte Renewal Lotion recommends to apply the lotion in the morning and in the evening, both on the face and neck. Only a few pumps of the lotion was needed and I found the application easily glided across my skin, and the results were instant. Any shine upon my forehead had been reduced, and my skin looked mattified and more hydrated! I also want to mention how slick the packaging looks, and I found the lotion to have a slight suncream smell to it! The Matte Renewal Lotion is available to purchase here. 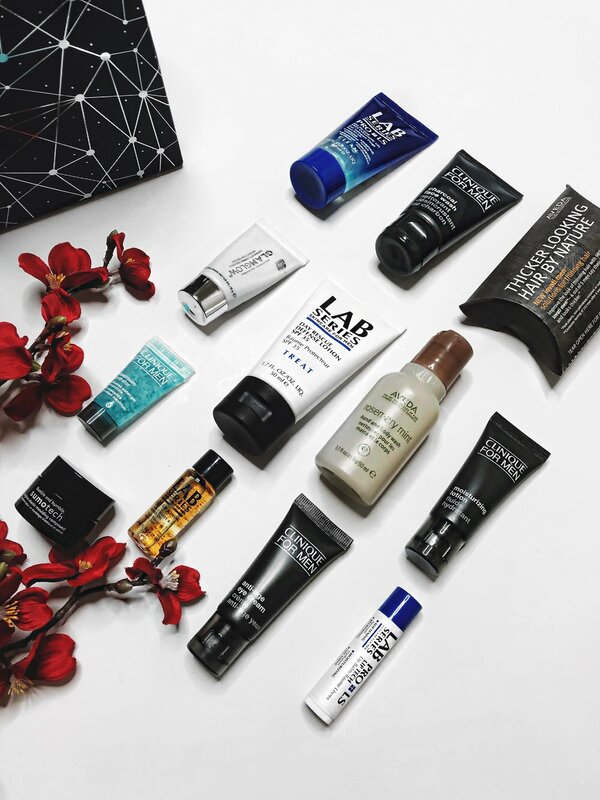 Have you tried any of the LAB Series products before? Which did you try, and how did you find it? Don't forget to hit that like button down below, and leave me a comment so I know what you guys think! When it comes to choosing the right face mask for my skin, I often struggle. Either because I find most of them irritate my skin, or they simply don't work. The Urban Blue Detox Clay Mask by Lab Series however, is one of the best I have come across so far! I have previously reviewed the All-In-One Shower Gel by Lab Series before, which can be read here, so it comes as no surprise that Lab Series have yet again, excelled with this product! I applied this face mask straight onto my face, although I chose against washing and cleansing my face prior to application, just because I found that this method worked best for me! I squeezed out the mask into the palms of my hands, and then rubbed the mask onto my face. The scent of this, is very similar to the All-In-One Shower Gel, and smells very clean and fresh! For the first few minutes, I could start to feel the mask tightening and I found it difficult not to laugh whilst my parents made several attempts in doing so. The only way I could describe how this mask felt when applied upon my face, was that I could almost imagine that this might be how having botox could feel? After around 5 minutes or so, I then washed off the mask and instantly, my face looked brighter! My skin looked clean, and any dirt or imperfections had gone! My parents both commented on how clear my skin looked, and were immediately wanting to try this out for themselves! Overall, a great product and one that has instant benefits to it. You can purchase the Urban Blue Detox Clay Mask here! Have you tried this mask before? What are your thoughts? What face masks are your favourites? I would love to hear from you all, so don't forget to leave a comment down below! I had been given two products, both from The Lab Series for me to trial out; All-In-One Shower Gel and the Urban Blue Detox Clay Mask. In this post today, I will be focusing on the All-In-One Shower Gel, so make sure you come back to check out my thoughts on the Urban Blue Detox Clay Mask! Face- I found that once I had used this over my face, my skin felt a lot cleaner and looked refreshed too. This shower gel states that this can also be used whilst shaving! Now, due to having facial hair, I wasn't able to try this part out. However, my Father tried this out for me and he found that the skin didn't feel irritated whilst using this, and also found it made the razor glide across this skin easier whilst shaving! Body- The scent of this smelt very fresh, and left my body feeling clean! However, I found the texture of this to be quite thick and gloopy at times..
Hair- I really noticed a difference with this area. My hair felt healthier, and any product I had in my hair prior to this, seemed to disappear almost immediately! My favourite fact of the Shower Gel, is that it is all-in-one! I have found this has helped massively when travelling and staying overnight somewhere. It's been a good fit within my toiletry bag as I haven't needed to worry about two, big, bulky bottles taking up a lot of space! You can purchase the All-In-One Shower Gel here. Have you tried any of the Lab Series products before? Have you used this All-In-One Shower Gel? Let me know your thoughts down below in the comments section as I'd love to hear some feedback! Don't forget to check back soon for the Urban Blue Detox Clay Mask review too!